The paradoxical (and also ambitious) aim of this paper consists in attempting to point out the vigorous presence of such a specifically “mediaeval” topic as liber mundi in the works of such a conventionally “modern” philosopher as George Berkeley (1685-1753). The solution of this “paradox” lies, as I shall try to show, in considering Berkeley as a kind of liminal philosopher between the mediaeval and the modern, as a surprising intellectual bridge between these two worlds, or even as a mediaeval latecomer on the stage of modernity. Methodologically, in doing it I have preferred that my historical approach to liber mundi be retrospectively pre-determined and confined only to some of its aspects by the particular way in which this topic appears in Berkeley; so that many other important cultural implications of liber mundi have only been mentioned in footnotes. 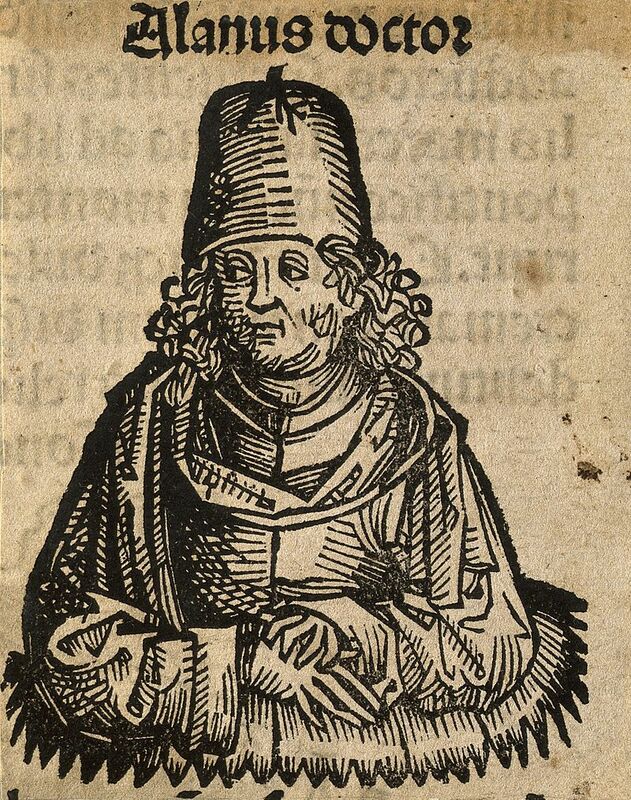 As a matter of fact, my paper consists of two parts: 1) a brief history of the development of the liber mundi topic (St. Paul to modern times); and 2) a “case study”: the presence of the topic in Berkeley’s philosophy itself. Liber mundi represents one of the most fascinating cultural-philosophical topics of the mediaeval universe. It is such a kind of prevailing metaphor that eventually comes to mirror the whole of a civilization. 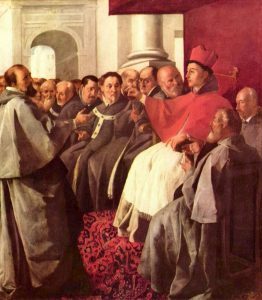 Interestingly, its Christian foundational principle may be stated, at the same time, in both St. John (i, 1-14) and St. Paul (1 Corinthians. xiii. 12-3), and this “double grounding” will be preserved and easily recognizable along all the subsequent developments of the topic. As the idea of liber mundi necessarily requires two elements (a text to be read and a reader to do it), let us consider, on one hand, St. John’s grounding as containing liber mundi “text perspective” and, on the other hand, St. Paul grounding’s as containing liber mundi “reader’s perspective”. Let also add that these perspectives are not opposite at all, but, on the contrary, they are fully complementary. 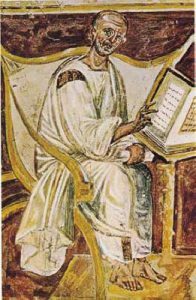 Firstly, from a strictly theological point of view, we find in St. John’s Gospel the proper ground on which liber mundi is based: “In (the) beginning was the Word, and the Word was with God, and the Word was God. He was in the beginning with God. All things received being through him, and without him not one (thing) received being which has received being. … And the Word became flesh”. There is, in this short passage, a surprisingly fruitful ambiguity, since the word “Word”, as it is presented in John’s Gospel, is the translation of the Greek word logos, meaning both “word” (verbum) and “reason” (ratio). As a result, from a Christian standpoint, the Incarnation made the world not only “readable” (since the Word “penetrated” and “inscribed” it), but also “ration-able”, comprehensible (since God as ratio came the world into being).1 That would represent a crucial premise of the European civilization as one “obsessed” with the knowledge of world. The world is considered “thinkable” since it essentially contains “reason” (logos), that is, the process of knowledge of the world is a process of “self-recognition” by which our reason (as a faculty of knowledge) recognizes itself in the very essence of the world (as one which came into being by the Supreme Reason). One symptomatic proof for such a perennial characteristic feature of the European civilization is that provided by the fact that it is easy enough to see that St. John’s saying: “All things received being through him, and without him not one (thing) received being which has received being” (1, 3) would be, many centuries after that, “re-issued” by this rather cryptic statement of G.W.F. Hegel: “What is rational is real and what is real is rational”. Consequently, it is allowed to say that there is, in our Christian civilization, a real continuity of thought as regards the essential premises of the knowledge of world. It is a matter of common experience that such a topic as liber mundi could appear in a fully explicit manner within a “religion of the Book”6 only. And it was namely the central role which the Bible played in Christianity7 that made this topic significant to a so great extend within the mediaeval worldview: “In its simplest form, the idea of the Book begins in mediaeval readings of the Bible.” (Gellrich 1985: 32) It is easy to observe that within the mediaeval Weltanschauung the Bible represented a universal divine “prototype” of all possible human knowledge, and the celebrated, inimitable model of every (religious or not) kind of writing. The Bible “fascinated” the mediaeval people to such an extent that eventually it came to belong to a kind of “a priori cultural pattern” by means of which the surrounding world was pre-perceived and comprehended. In short, the mere fact of the “centrality” of this sacred text determined almost all the subsequent meditations on the book qua talis. 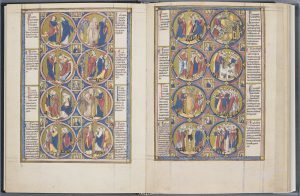 On the other hand—and in addition to the Christian prestige of the Book itself (as a “revealed” or “divinely inspired” text)—the book, at the time when Christianity emerged, was already a “cultural product” generally received as the most important means for preserving, teaching and enhancing human knowledge: within a conveniently limited space it was possible to store an enormous amount of information. The book was then considered an “object” governed by some strict constructing and functioning rules, and therefore an autonomous and self-sufficient entity, a determined “device” whose functionality and usefulness could be easily controlled. In other words, the book had numerous theological, historical and technical premises as to become a fully convenient and useful metaphor within the mediaeval worldview. As a matter of fact, in order to avoid such a unfruitful deadlock it seems reasonable to suppose that this confusio is rather a necessary and desirable “meeting point” of the two complementary perspectives assumed above (“the text perspective” and “the reader’s perspective”) than a disorganizing agent or even a piece of metaphysical hubris. Because the very statement of the ontological difference paradoxically supposes also a way of reducing it: the “reading” of the world text necessarily causes an elevatio animiinside the “reader”, and he/she is therefore closer and closer to the Author of the world book, retrieving—in religious terms—his/her “natural” place in the realm of the Heavens. Interestingly, we can see that such a fragment is fully symptomatic for an emerging “epistemic attitude”. This attitude was already considered a serious and equal alternative to the strictly theological knowledge: namely knowing the Creature in the way in which the Ancients also did it: “those that never saw him in the one, have discover’d Him in the other. This was the Scripture and Theology of the Heathens”. As a first conclusion, in this tradition of thinking, the knowledge of nature, of “God’s creatures” has—besides its specifically gnoseological, cognitive function—a “soteriological” dimension by supposing a secondary process of elevatio animi. This closed connection between knowledge and faith (id est, world knowledge was a definite part of daily religious experience) as a characteristic feature of the mediaeval worldview would represent an essential premise of the outstanding scientific developments in modern Europe. Moreover, it is reasonable to suppose that a civilization in which the study of nature as liber creaturarum constituted an essential part of the adoration of God (as a Creator) is a civilization characterized by a so to say “drive to knowledge”. And it is precisely the religious content of the mediaeval starting point that confers an extraordinary strength and depth to this secular “drive”. 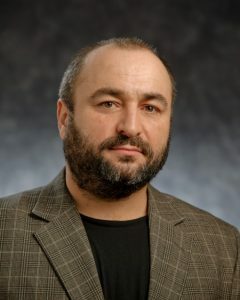 As regards the “longevity” of this topic, Jesse Gellrich showed that “while it (the idea of Book) prevails in learned traditions from Augustine to Chaucer, it is not a transhistorical concept but is determined and stabilized by the unique homogeneity of mediaeval learning. It represents an ‘episteme’ that changed radically by the time of Francis Bacon, and consequently the Book studied in these pages is a definite mediaeval idea.” (Gellrich 1985: 20) Liber mundi is undoubtedly a “definite mediaeval idea”, but, as I shall try to show below, there are some firm grounds to believe that (at least) George Berkeley, a conventionally “modern” philosopher, may be regarded as an important and significant exception to this general scheme. It is obvious, I suppose, the specific way in which what I have previously called “the reader’s perspective” appears in this fragment. At a first glance, that century strikingly seemed to having forgotten any impulses to elevatio animi. The ultimate aim of the “the reader of the world” is, in Berkeley’s view, the “preservation and well-being” of his/her body, and “to avoid whatever may be hurtful and destructive” to it. As it were, the world book had become a mere, humble survival text-book. The old Christian-“existentialist” component of the liber mundi topic (or “the reader’s perspective” as presented in this view), had radically changed and had gotten new, dramatic aspects. The “salvation” of the human at that moment meant only a still and passive existence, at a good distance from the many “hurtful things” of the world, a passing through the difficulties of this world as discretely as possible. And it is this dramatic transformation that seems to externalize a certain state of “spiritual tiredness” and “metaphysical disappointment” characterizing that age, which is sometimes expressed by a feeling of nostalgia for the “fortunate times” of the Middle Ages (a so to say ubi sunt mentality). This is why we might find out a general secular “uneasiness” (Hazard 1961: IV, chap. 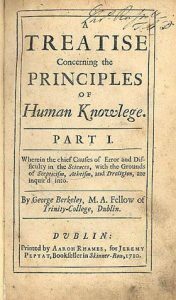 5) and a troubled human condition, converted philosophically into such a course of thinking as the one contained by Berkeley’s texts. But, at the same time, paradoxically, it is easy enough to discern in this fragment by Berkeley an emerging “pragmatic” attitude to the “external world”, an approach in terms of utility, efficiency and control, which would eventually become paradigmatic for the whole Western civilization. This rather “optimistic” and self-confident pragmatism, easily recognizable throughout in modern thought, sentiments and mentalities, consists essentially in answering this question: “How can I use the world around me in the most efficient and profitable way?” And, more or less surprisingly, in answering such a question George Berkeley directly employs one of the most prestigious topics of the Western mediaeval civilization: “an universal language of the Author of Nature whereby we are instructed how to regulate our actions in order to attain those things that…” Hence his capital significance in founding and constructing some modern “mind attitudes”, as well as the ground based on which I previously considered him an “intellectual bridge” between the mediaeval and the modern. Further, related to the same problem of a “universal language of the Author of Nature”, Berkeley raises another ancient17 philosophical question, namely nominatio rerum, the appropriate relationship between things and words. The issue had been variously treated all along the Antiquity and Middle Ages,18 and it also contains the essential roots of modern linguistics. As for Berkeley, his fully modern attitude is toward a “conventional” relationship between words and things. And it is especially this “conventional” approach that enables him to consider the external world in pragmatic terms. Thus, by avoiding any scholastic speculations on the “occult nature of things”, he thinks that our pragmatic control over the surrounding world is instituted by learning, degree by degree, since “our first entrance in the world”: “It must be confessed that we are not so apt to confound other signs with the signs signified, or to think them of the same species, as we are visible and tangible ideas. But a little consideration will shew us how this may be without our supposing them of a like nature. These signs are constant and universal, their connexion with tangible ideas has been learnt at our first entrance in the world; and ever since, almost every moment of our lives, it has been occurring to our thoughts, and fastening and striking deeper on our minds.” (Berkeley 1989: 50-1) With regard to this question, let also add that Michel Foucault considers that Berkeley’s theory of the “universal language of nature” represents a true “turning point”, namely it means at the same time the end of an old world and the beginning of a new episteme. For him (Foucault 1971)19 Berkeley’s “conventionalism” supposes a strange mixture between the “sure” and the “probable” in the process of signifying: “The certitude of the link: a sign may be so constant that we are sure about its fidelity; but [also] it may be only probable”. And it is this essentially religious function of philosophy, much emphasized by George Berkeley, that enables us to situate him in a genuinely mediaeval tradition. Upon the whole, it seems the proper objects of sight are light and colours, with their several shades and degrees; all which, being infinitely diversified and combined, form a language wonderfully adapted to suggest and exhibit to us the distances, figures, situations, dimensions, and various qualities of tangible objects: not by similitude, nor yet by inference of necessary connexion, but by the arbitrary imposition of Providence, just as words suggest the things signified by them. (Berkeley 1950: 154). 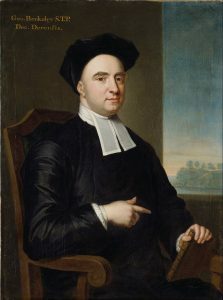 It is clear enough by now that for George Berkeley the world is a book (“an universal language”) in an explicit and fundamental way (that is, the world is a text esentialiter). For him “the whole system of Nature is a system of signs, a visual divine language, speaking to our minds of God” (Copleston 1994: V, 248). Of course, a good part of the many mediaeval implications of the topic are not so manifest in his thought, but the main premises which liber mundi suppose are obvious. Because his explicit manner of postulating liber mundi implies the existence of an author who has “written” or rather “spoken” the world (“the Author of Nature”), and the presence of an author/subject relationship24 between him and the world (in our case the relationship is one of signifying), and, of course, the existence of a “reader” who transcends the “sign” (signum) to the “signified thing” (signatum). The two perspectives (“the text perspective” and “the reader’s perspective”) deciphered in St. John’s and St. Paul’s texts are also present, even if in very specific forms. In other words, on the one hand, the world is widely unfolding in front of the humans as a “universal language” or a “system of signs” instituted by a divine Author, and, on the other hand, humans are “existentially” implied in deciphering them at least in order to attain the “preservation and well-being” of their bodies, and “to avoid whatever may be hurtful and destructive” of them. Generally speaking, it would no doubt be very interesting and fruitful to look for and to analyze the various “master metaphors” which were used by scholars and philosophers who lived in various epochs in order to understand, explain, control and “tame” the world around them: the world as a book, the world as a machine, the world as theatre, etc., etc. For each of these “master metaphors” has certain existential implications, and contains a set of cultural-metaphysical suppositions that expresses one Weltanschauung or another. Choosing a particular “master metaphor” for examining the world around you rather than any other is to show yourself as a particular, proper mode of being in history. Such a choosing is not at random, but it rigorously reveals the deepest cultural anthropological structures of one civilization or another. Finally, let us also note a certain “peculiarity” of our times: in our pluralistic, sophisticated and—so to say—”mannerist” civilization, it appears that we could not be satisfied with a single metaphor, however “master”, for understanding or taming our world. It would be a painful limitation to our dreams and inner perspectives. We need to study and often we get fascinated by all the metaphors which were employed before us as different modes of being in history. This is because our own mode of being in history is most probably history itself. 1. It must also be noted that the theological grounding of liber mundi is very similar to that of the icon, because, dogmatically speaking, the icon is not simply a “painting” and, therefore, a piece of idolatry. The icon can “grasp” God’s image because, by Incarnation, God has decided to make Himself visible to our poor, earthy eyes. The icon is not made only by wood and paints, but it also contains a “hidden” part: God’s image as a spiritual unseen reality. Thus the icon has a double nature, just as Christ has a dual nature. – Just as, of course, the book of the world itself has: signans and signatum. 2. Let us also mention that, in the same way, in Plato’s Phaedo (61D), the function of philosophy is just to be a “preparation for death”: melethé thanathoû. 3. For instance, relative to the Mediaeval encyclopedic books one modern author wrote: “Encyclopedias… are also called mirrors because, as Vincent (of Beauvais) says, mirrors induce speculations and imitation…” (Mazzotta 1993: 4) Let us also quote, to illustrate, some titles of Mediaeval encyclopedic books: Speculum quadruplex (Vincent of Beauvais), Speculum humanae salvationis (Hugues of Saint-Cher), Speculum humanae conditionis, and so forth. 4. I wish to express my grateful thanks to Prof. Giuseppe Mazzotta (Yale University) for having indicated me Gellrich’s book, as well as for other suggestions related to the liber mundi topic. 5. Interestingly, this idea of the “invisible hand” would represent a central concept in Adam Smith’s economic theory. Of course, in Smith’s view, the “invisible hand” is not a direct manifestation of God, but, symptomatically for the modern Weltanschauung … of the laws of free market. 11. This last Bonaventura quotation is also used in Curtius’ work cited above. 12. Let also remember the special hermeneutic relationship between mirror (speculum) and book (liber), as mentioned before. 13. Gellrich’s book, cited so many times in this paper and to which I am so much indebted, is particularly concerned with the idea of book and with the many “cultural forms” (language theory, mythology, fiction, manuscript painting, sacred architecture, music, and so forth) of the Middle Ages (Gellrich 1985). 14. Quoted partially by Jesse Gellrich (Gellrich 1985: 34). Let us note, one more time, the same special relationship between “mirror” and “book”, as mentioned above. 15. 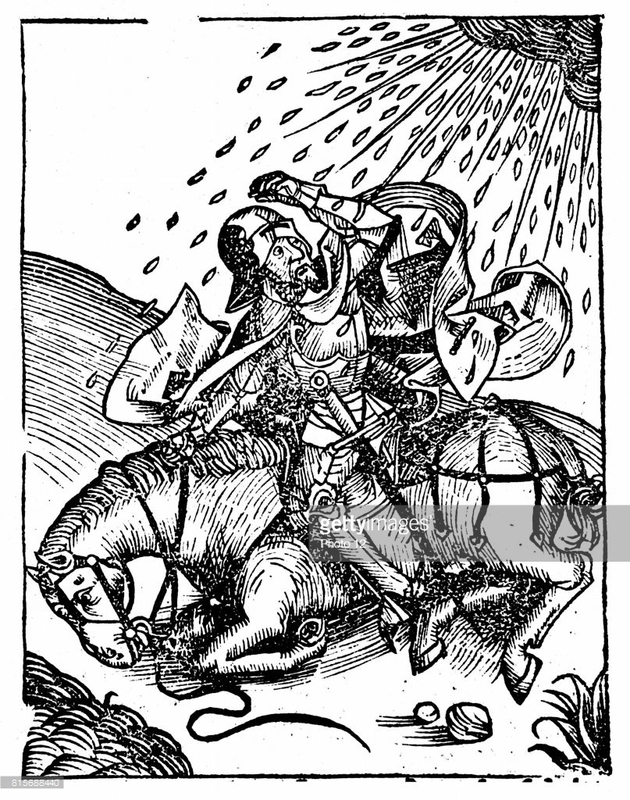 For an almost exhaustive exposure of the problems of the book in the middle ages see also chap. XVI (“The Book as Symbol”) in the famous work of Ernest Robert Curtius, European literature and the Latin middle ages (Curtius 1963: 302-347). 16. Let us, in passing, note that there are writers who considers Berkeley’s Irish period [1685-1713] as “the most important phase of his career” (Cf. 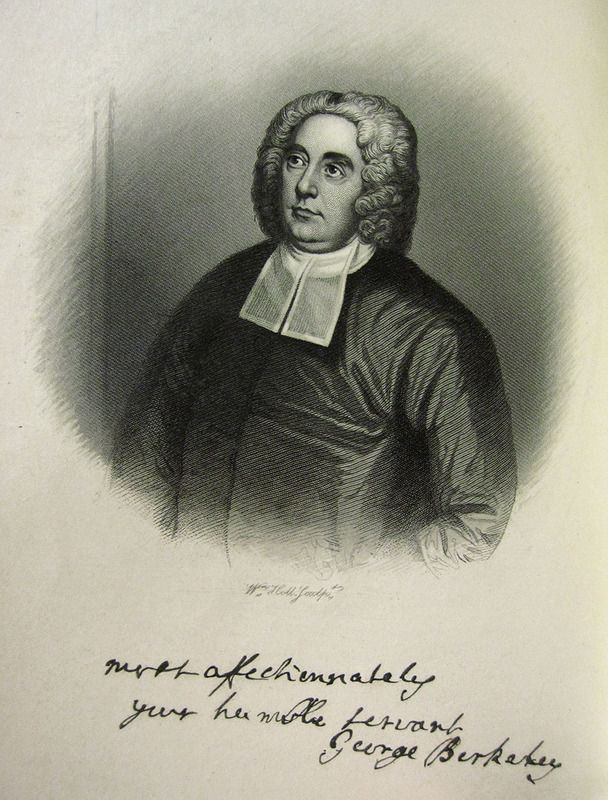 David Berman, George Berkeley. Idealism and the man [Oxford, 1994: 7]). 17. Sophists were those who, for the first time in European philosophy, concerned with this issue and used the distinction between “nature” and “convention” in naming things. See also, for the same problem, Plato’s Cratylos. 18. In the Middle Ages, particularly in immediate connection to “the myth of Babel”. See, for this problem, chap. 5 in the last book (published posthumously) by Paul Zumthor (Zumthor 1997). 19. Especially chap. III, § 3 (“Representation of sign”). 20. David Hume (1711-1776) composed his famous work A Treatise of Human Nature during the years which he spent in France (1734-7) and published it in three volumes between 1738 and 1740. (see Copleston 1994: V, 258-9). 21. Starting from the significance of these local exempla it would be very interesting to conceive of “a history of philosophy” based exclusively on the examples and anecdotal facts which philosophers use in order to verify and to illustrate their theories, and to deduce their various mind and existential attitudes only from the type and nature of these examples. 22. The subtitle of his very important Three Dialogues between Hylas and Philonous contains this significant phrase: “in opposition to Sceptics and Atheists”. See, for this problem, G. Brykman, Berkeley: philosophie et apologétique (Brykman 1984). 23. Published in answer to a newspaper criticism against An Essay towards a New Theory of Vision. (Dublin, 1709). Adam Smith described this short work as “one of the finest examples of philosophical analysis that is to be found, either in our own, or in any other language”. (cited in Berman 1994: 136). 24. Of course, from another point of view, in terms of power and “divine law”, this relationship may also be regarded as one of authority, but such a matter is out of the explicit purpose of present paper. 25. For instance, let us take a look at Descartes’ case with respect to this almost exclusively “rhetoric” dimension of liber mundi. 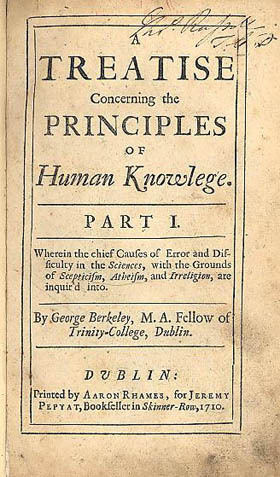 It is true, in his Discourse on Method we can read: “I resolved to seek no other knowledge than that which I might find within myself, or perhaps in the great book of nature” (Descartes 1956: 6) But, on the other hand, in another important work of him, Principia Philosophiae, he wrote much more precisely: “I have described the Earth and the whole visible universe in the manner of a machine…”(book 4, § 188) and “The only difference I can see between machines and natural objects is that the workings of machines are mostly carried out by apparatus large enough to be readily perceptible by the senses (as is required to make their manufacture humanly possible), whereas natural processes almost always depend on parts so small that they utterly elude our senses.” (book 4, § 203) (Descartes 1954: 229, 236). 26. For Leonardo da Vinci’s mechanics, as well as for the specific relationship between it and Descartes’s mechanical conceptions, see, for instance, the fascinating book that Paul Valéry wrote about Da Vinci (Valéry 1957). Artz, F. B. 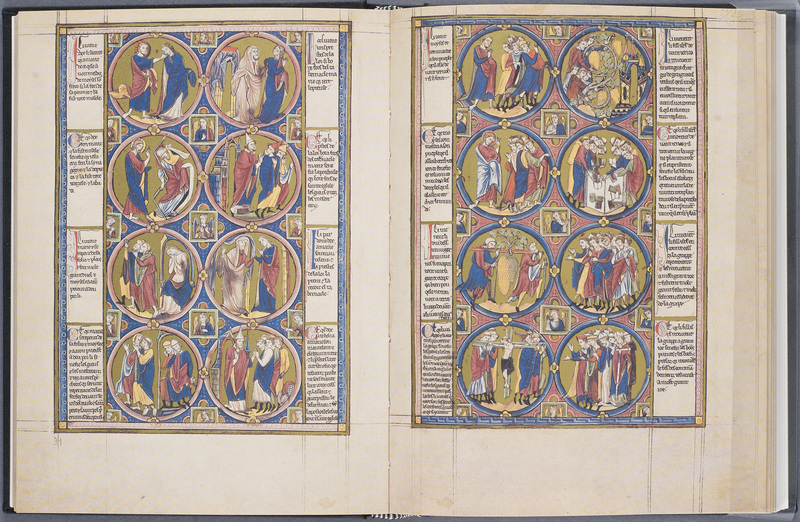 (1980) The mind of the middle ages A.D. 200-1500. An historical survey (Chicago and London: The University of Chicago Press). Augustine, A. (1963) The Confessions of Saint Augustine, trans. Rex Warner (New York and Toronto: New American Library). 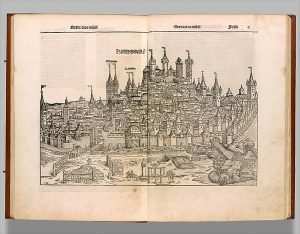 Barber, M. (1993), The two cities: Mediaeval Europe, 1050 – 1320 (London and New York: Routledge). Bergson, H. (1911), “L’Intuition philosophique” in Revue de Metaphysique et de Morale 19, 809-827; reprinted in La pensée et le mouvant (Paris: Félix Alcan) (1944). Berkeley, G. (1950), The Works of George Berkeley Bishop of Cloyne, Volume III (“Alciphron or The Minute Philosopher”), Edited by T E Jessop (London, Edinburgh, Paris, Melbourne, Toronto and New York: Thomas Nelson and Sons Ltd). Berkeley, G. (1989), Philosophical Works, including the works on vision, Introduction and notes by M.R. Ayers (London: J.M. Dent & Sons Ltd). Berman, D. (1994), George Berkeley. Idealism and the man (Oxford: Clarendon Press). Bonaventura, (Saint) (1911), Tria opuscula (Breviloquium, Itinerarium Mentis in Deum, De reductione artium ad theologiam), (Florence: Quaracchi). Browne, Th. (Sir) (1943), “Religio Medici” in The Consolation of Philosophy (New York: Random House). 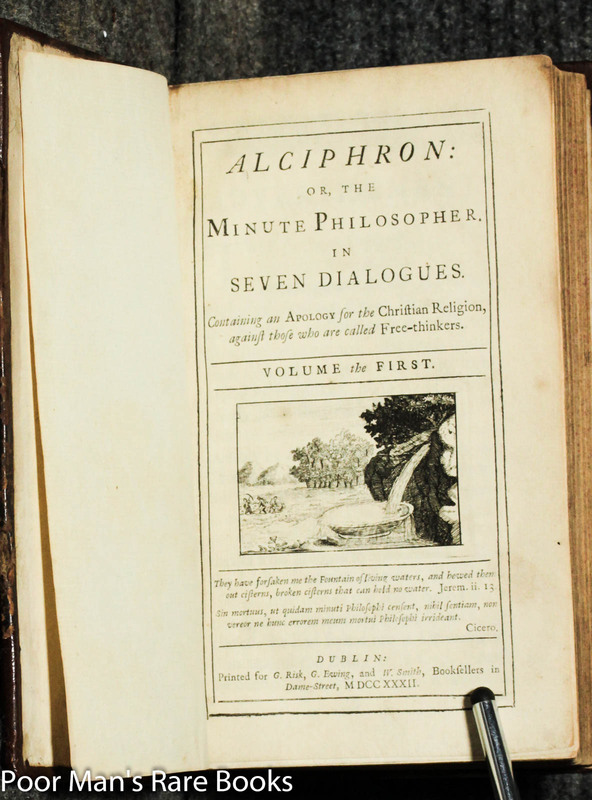 Brykman, G. (1984), Berkeley: philosophie et apologétique, (Paris: Vrin). Copleston, F.C. (1993-1994), A History of Philosophy, vols. II-V (New York, London, Toronto, Sydney, Auckland: Doubleday). Curtius, E.R. (1963) European literature and the Latin middle ages, trans. Willard Trask (New York: Harper and Row). Derrida, J. (1976), Of Grammatology, trans. Gayatri C. Spivak (Baltimore: Johns Hopkins University Press). Descartes, R. (1956), Discourse on Method, trans. Laurence J. Lafleur (New York: The Liberal Arts Press). Eco, U. (1994), La recherche de la langue parfaite (Paris: Ed. du Seuil). Foucault, M. (1971), Les mots et les choses (Paris: Gallimard). Gellrich, J. M. (1985), The idea of the book in the middle age (Ithaca and London: Cornell University Press). Gilson, É. (1986), La philosophie au moyen âge (first edition: 1922) (Paris: Ed. Payot). Hazard, P. (1961), La crise de la conscience européenne, 1680-1715 (Paris: Fayard). Mazzotta, G. (1993), Dantes’s vision and the circle of knowledge (Princeton: Princeton University Press). Thomas à Kempis (1943), “The Imitation of Christ” in The Consolation of Philosophy (New York: Random House). Valéry, P. (1957), Introduction à la méthode de Léonard de Vinci (Paris: Ed. Gallimard). Wippel J.F. and Wolter A.B., O.F.M. (1969), Mediaeval Philosophy: From St. Augustine to Nicholas of Cusa (New York: The Free Press, London: Collier-Macmillan Limited). Zumthor, P. (1997), Babel ou l’inachèvement (Paris: Ed. du Seuil). 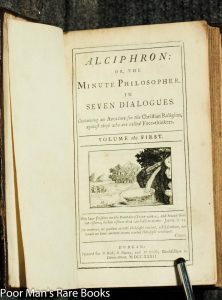 Originally published by Minerva: An Online Open Access Journal of Philosophy (Volume 1, November 1997), an open access resource, for educational, non-commercial purposes. This entry was posted in History, Medieval, Middle Ages, Philosophy. Bookmark the permalink.